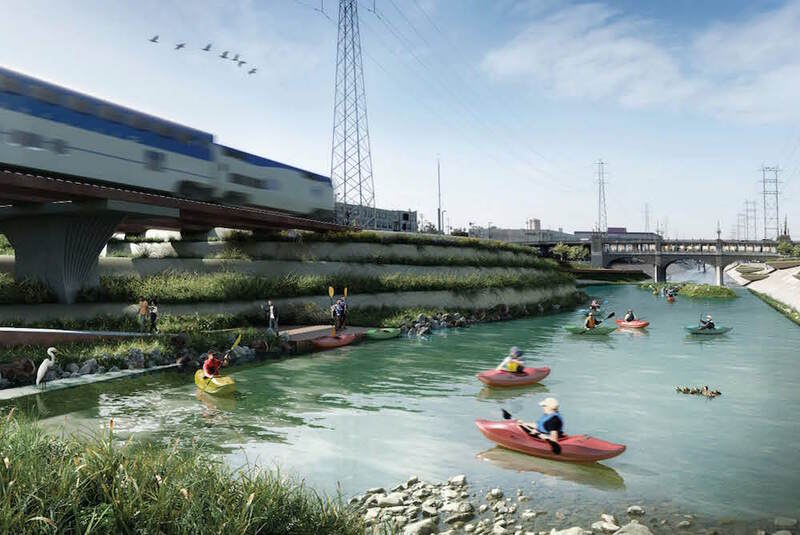 As part of an ongoing project to revitalize Los Angeles’ waterways, the city has unveiled new proposals for how to enhance the space alongside the Los Angeles River. The resulting images depict a range of exciting possibilities, including open space, active play areas, public art, private and public sector development, and connectivity. 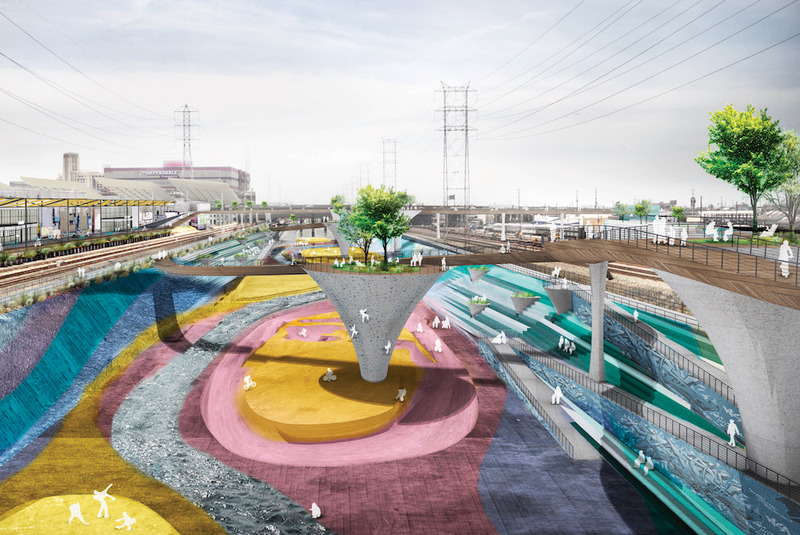 Design firm AECOM, for instance, brings color into the park in an exciting way that takes inspiration from the nearby Arts District. Mia Lehrer + Associates seeks to provide a place for kayaking while utilizing captured stormwater in a nearby filtration pool that increases flood capacity and improves water quality. 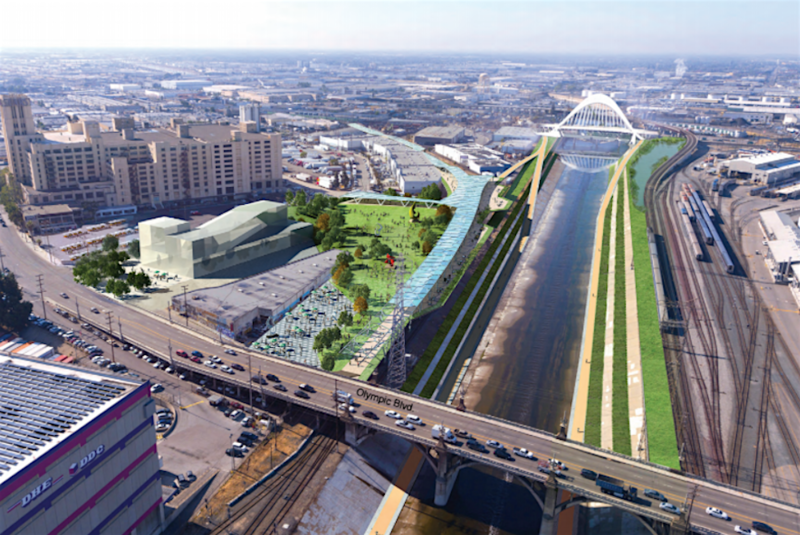 A portion of the river from Olympic Boulevard to 26th Street designed by Tetra Tech features a dramatic cycling and pedestrian bridge. The bridge will link to the park below and also includes a restaurant for visitors. A terraced sculpture park sprawls out underneath the bridge, where vegetation will be planted along the terraces. 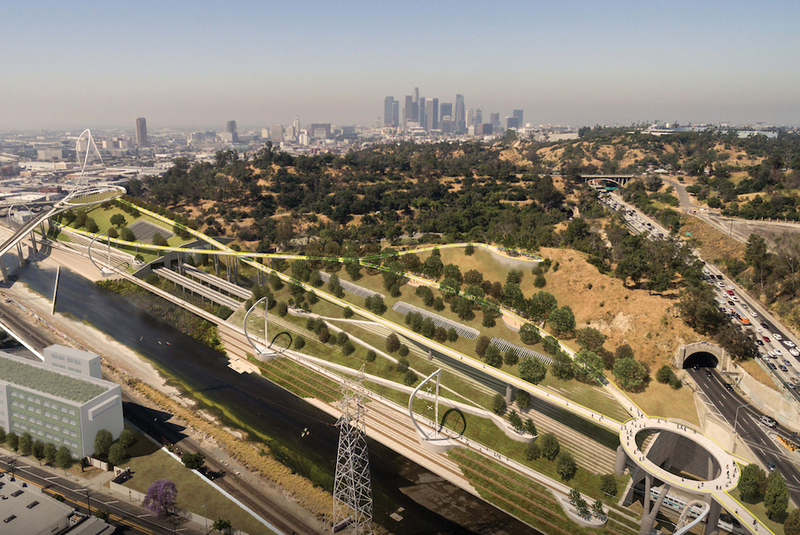 All seven designs were recently displayed at City Hall during the Los Angeles City Council’s annual LA River Day. Currently, there is no timeline for when these projects could potentially break ground, and there are a number of environmental issues to consider, as California suffers from droughts that keep the river bed dry.